If you haven’t read FAQ’s and Things To Keep In Mind about Feeding Babies yet, that would be a great place to start first! What?! You are going to feed your baby eggs?? I can’t tell you how often I have heard that phrase in the last few years! And yet, if you look and new mamas around the globe, giving the yolks of eggs to babies as first foods is common practice. 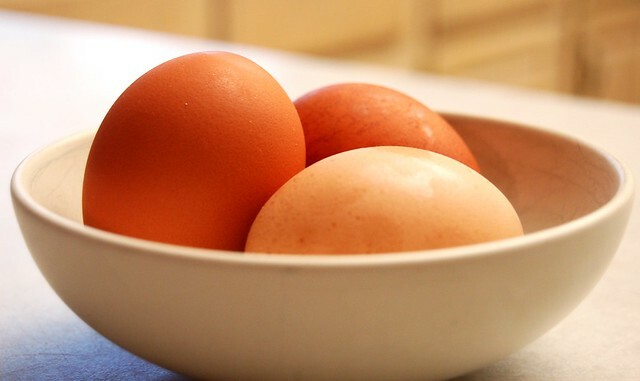 The yolks of eggs from chickens that have been on pasture to eat grass and bugs is extremely nourishing! You can’t pack more punch in to such a small package! Babies don’t have very big bellies! If you have been reading material from me very long, you will find that my mantra is always – make every bite count. Why do we start babies on nutrient-less foods like processed cereals? This practice makes no sense. If babies don’t even have the enzymes to break down grains until well over the age of 1 year old, then why are we introducing them to baby cereal so young? This sets our children up for a myriad of gut issues. The Weston Price Foundation recommends egg yolks from pastured chickens to be introduced as early as 4 months old. I have enjoyed seeing my sweet babes yolky faces as soon as they are sitting up well, and it feels so good to know how nourished their bodies and brains are! A couple of notes before I show you how to prep those yolks for your baby. First, ONLY the yolks before age 1. I will be showing you how to soft boil your egg so you can easily get the yolk separated away to feed to baby. Second, I want to be sure to mention that I am not a doctor. First and foremost you need to follow your mama gut instinct – if you don’t feel comfortable giving your baby a yolk, then by all means – it is your baby! Don’t do it! Following the WAPF guidelines for feeding babies is what has worked for my family, and I want to share how to do it if this is how you want to feed your babies! And third, always nurse before food! In those first stages of introducing solids to baby around 4-6 months, breastmilk is always first priority. If you are formula feeding same thing. All set? Ok! Lets soft boil those eggs! 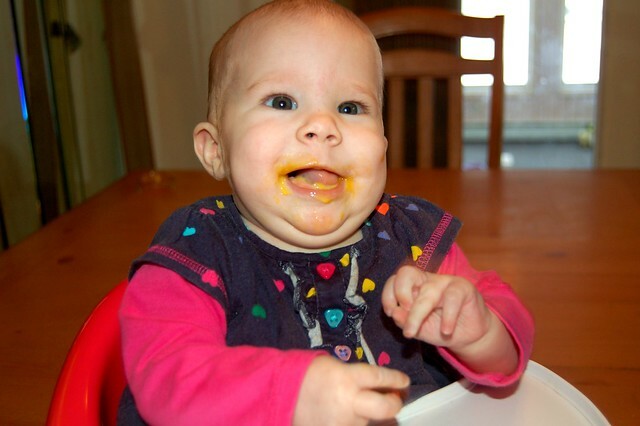 Egg yolk is amazingly nourishing for baby. The healthy fats from a pastured chicken are so beneficial. Fill a small or medium pot that has a lid with water and bring to a boil. Using a slotted spoon, lower your egg into the boiling water and put the lid on the pot. 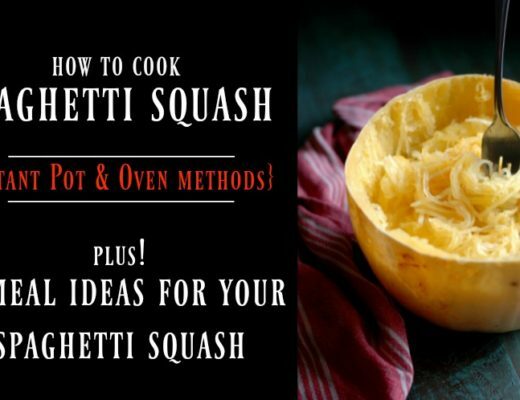 After the 5 minutes, use your slotted spoon to take the egg out, and run the egg under cold water for about 30 seconds. Tap the top of the egg to crack the shell and pull away the white. Pierce the yolk with your spoon and scoop it out into a bowl. Sprinkle sea salt and/or grate some grassfed liver over top the yolk and serve to baby. UPDATE! I recently started using my steamer for soft and hard boiling eggs – and oh! SO so (so!) easy! You must try it! On mine it is about 11 minutes for soft boiled and 15 for hard. This steamer also has 2 baskets so you can steam your eggs on the bottom and then some peas or carrots to puree for baby on the top! Yeah! This is not a make ahead food unfortunately 😉 I always served this when I knew I would be home and had the time – usually did it when we were sitting down for dinner (this also introduces the routine of sitting down as a family for the dinner meal!) , or before bedtime. I do a lot of baby food batch ups for the freezer (such as meats and veggies), but this is just one that is made to order. It is worth the small amount of time to get that nourishment into baby though! And while the 6 minutes is ticking that is plenty of time to change a diaper, put dinner on the stove, or even have a nursing/feeding/snuggle session. Watch baby for a week during those first introductions of the yolk. If you see any weird diaper action going on, redness around the mouth, or rashes on the skin, you will want to stop – this is the same with any first foods introductions. Try the yolk again in a month and see what happens. It can take up to 15 attempts of a new food for baby to accept the new food! This is the same for all first foods! If baby makes a funny face at first, don’t give up! They are getting used to new tastes, textures, and feelings in their mouth! Give them a chance to learn how this feels, how to use their tongue, etc. As baby gets older, you can hard boil your eggs, mush up the yolk with a back of a fork, and add some breastmilk to make a thicker paste if you wish. Sometimes I add the crumbled hard boiled egg yolk to plain, whole milk yogurt. THIS is a great first foods chart to give you an idea of what to follow when choosing first foods for your baby if you are wanting to follow the WAPF guidelines for feeding babies. Read THIS for common FAQ’s and thoughts to keep in mind about feeding babies! So tell me about your baby’s first foods! If you can figure out how to post a picture on here we want to see those yolky faces! Or post them to my facebook! I wanna see! *PLEASE NOTE: Baby’s first foods can be a very heated topic. Please lets play nice and respect every mama’s choice to start solids when she feels is right for her baby. I am a STICKLER on this! 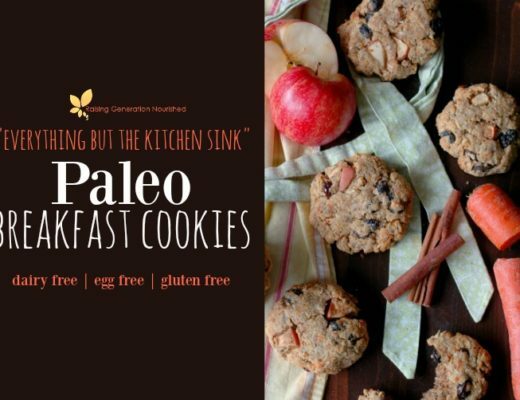 “Everything But The Kitchen Sink” Paleo Breakfast Cookies! :: Dairy, Gluten, Grain, and Refined Sugar Free with Egg & Nut Free Options! Hi Janneke! Yes you can separate the white from the yolk and then just pan cook the yolk lightly in some coconut oil.